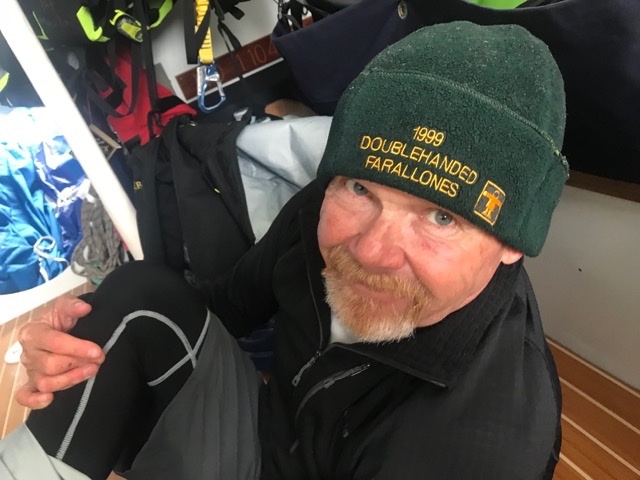 Crewmate Chris Watt’s comment this afternoon pretty much sums up Merlin’s first start in a major East Coast ocean race. After the helicopter flew away, and we settled into a closed hauled course, sliding along at 10 knots in 7.5 knots of breeze, Watts exhaled. 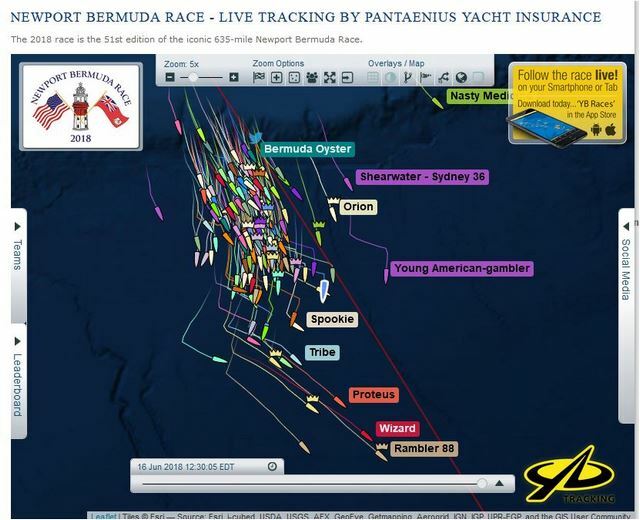 This is his first Bermuda Race. Watts sailed Merlin, on the 40th anniversary of her epic, record-setting win, to Hawaii in the 2017 Transpac Race along with Keahe Ho, a Hawaiian, also on Merlin this week. People on spectator boats and other competitors were cheering for Merlin as we dropped into a prerace cadence near the starting line. Even the announcers at Castle Hill were sharing the history of this West Coast sled. 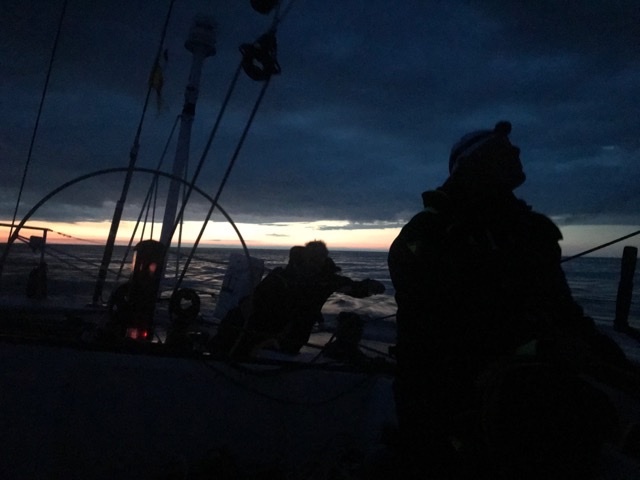 We quickly jumped into the lead in our class until a sail change in dying breezes set us behind our nearest rival, Kodiak. Then we overhauled her again as we continued at seven to eight knots in glassy seas. We passed the GunBoat catamarans and even shared the overall lead (from our rosy vantage point) with line honors favorite Rambler 88! Merlin is a skinny canoe, 12 feet wide, and she sails on rails, if you can get her heeled over. “Here she goes,” said the small, red-headed Watts, as we trimmed tight an A1 asymmetrical kite and our speed jumped more than a knot to 8.8 knots in 5 knots of wind. He said it with an “I told you so” attitude. It is hard to believe the numbers as the boat makes little sound slicing through today’s calm seas. Merlin is starting to prove to more than just us that she is a better than average boat in this fleet. Maybe she’s not just a Pacific flyer after all.